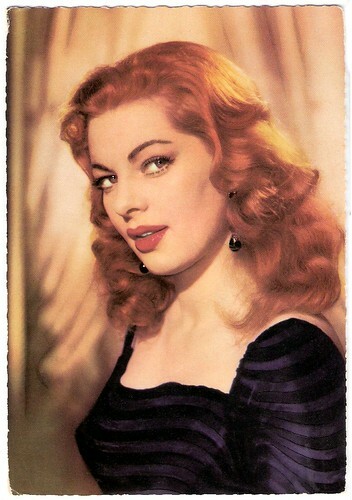 During the 1950s and 1960s, German publisher Ilse-Stern-Verlag better known as ISV produced many film star postcards both in black and white and in colour. 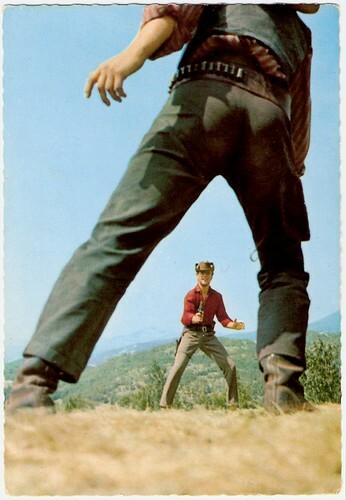 Very popular were ISV's postcard series of seven Karl May films of the 1960s. Marilyn Monroe. German postcard by ISV, Sort. VI/6. 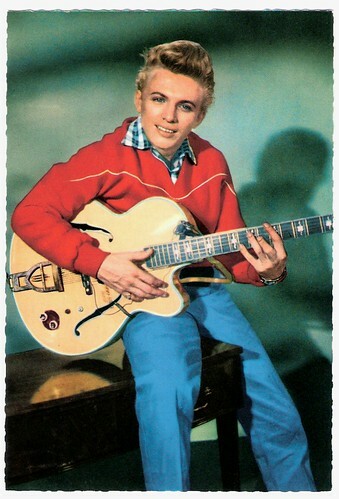 Tommy Steele. 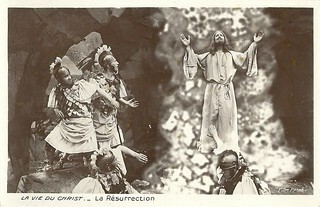 German postcard by ISV, no. H 14. Brigitte Bardot. German postcard by ISV, no. H 11. Photo: Sam Lévin, 1957. 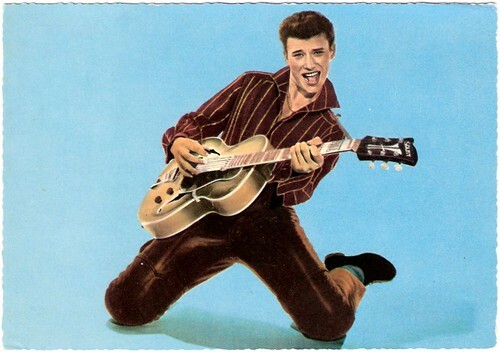 Johnny Hallyday. German postcard by ISV, no. H 85. Jester Naefe. German postcard by ISV, no. C 4. Photo: Divina / Gloria / Arthur Grimm. 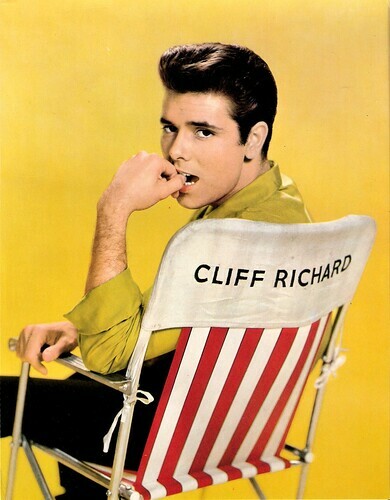 Cliff Richard. Big German postcard by ISV, no. HX 103. Jane Fonda. German postcard by ISV, Sort. 19/6. 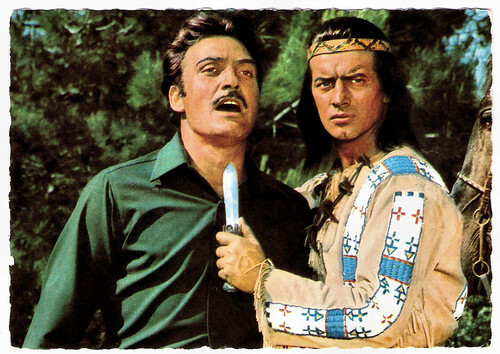 The first Karl May Western with Lex Barker in the role of Old Shatterhand and French actor Pierre Brice as his friend, the Apache-chief Winnetou was Der Schatz im Silbersee/Treasure of Silver Lake (Harald Reinl, 1963). With this Karl May adaptation, producer Horst Wendlandt, head of Rialto Film, sought to target the younger markets than the audiences that came to his Edgar Wallace thrillers. Der Schatz im Silbersee/Treasure of Silver Lake became the most successful German film of the 1962/1963 season and it even beat the first James Bond film, Dr. No (1962), at the German box offices. 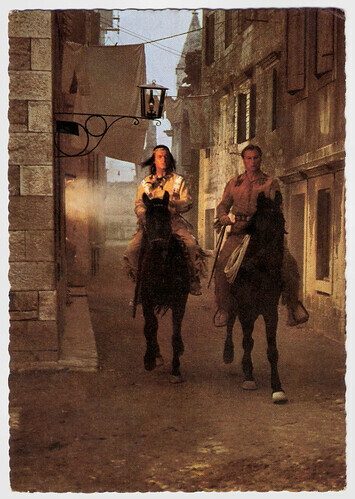 Kids loved the adventures of Winnetou and his friend Old Shatterhand and collected all the film merchandise. The Old Shatterhand-Melodie, the title melody played on the harmonica by René Giessen and composed by Martin Böttcher was the most successful track in the German hitparade in the 1960s. It stayed there for several months and over 100,000 copies were sold. 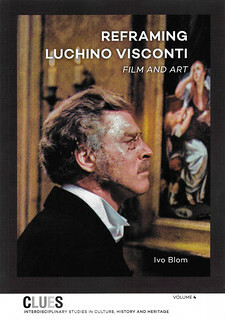 Ilse-Stern-Verlag produced a series of 64 postcards of the film which also became a hit. In total ISV produced seven postcard series of Karl May films: Der Schatz im Silbersee/Treasure of Silver Lake (Harald Reinl, 1963), Winnetou - 1. Teil/Apache Gold (Harald Reinl, 1963), Winnetou – 2. Teil/Last of the Renegades (Harald Reinl, 1964), Unter Geiern/Among Vultures (Alfred Vohrer, 1964), Der Ölprinz/The Oil Prince (Harald Philipp, 1965), Durchs wilde Kurdistan/Wild Kurdistan (Franz Josef Gottlieb, 1965), and Winnetou 3. Teil/Winnetou: The Last Shot (Harald Reinl, 1965). The Karl May postcards were sold by ISV in surprise bags and with a portion of puffed rice. 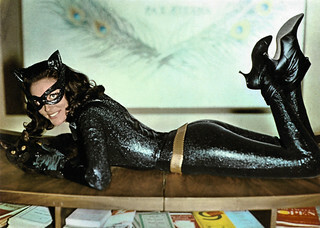 All postcards were in the typical postcard format to send by mail and with a caption about the film scene of which the photograph was taken. The complete Karl May postcard series published by ISV consists of a total of 233 colour postcards. Götz George in Der Schatz im Silbersee (1962). German postcard, no. E 61. Photo: Constantin. Still for Der Schatz im Silbersee/The Treasure of Silver Lake (Harald Reinl, 1962). 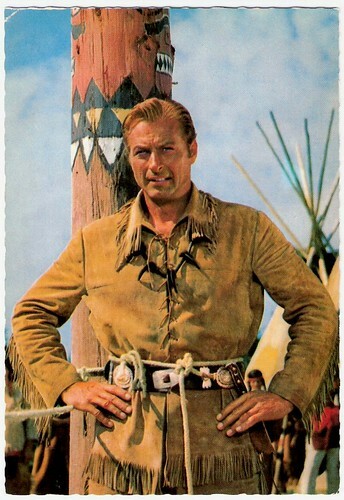 Lex Barker in Winnetou I (1963). German postcard, no. E 23. Photo: Constantin. Still from Winnetou I (Harald Reinl, 1963). Caption: "Old Shatterhand has also been sentenced to die at the stake. He regrets emphatically, that he rescued Winnetou from the Kiowas. An ordeal by battle will decide." Pierre Brice and Karin Dor in Winnetou II. Teil (1964). German postcard, no. R 8. Photo: publicity still for Winnetou 2. Teil/Winnetou: The Red Gentleman (Harald Reinl, 1964). Caption: "Noch ahnt man nicht, wie bald von diesem Versteck Gebrauch gemacht werden muss; den Forrester, der sein dunkles Gerwerbe auf Kosten der Indianer betreibt, schmiedet schon Pläne." (Yet nobody suspects how soon this hiding place must be used; Forrester, who runs his shady business at the expense of the Indians, already makes his plans). 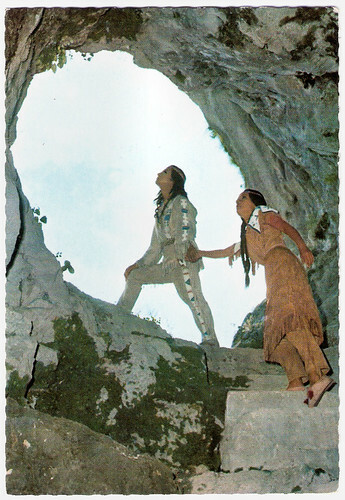 Rik Battaglia and Pierre Brice in Winnetou 3. Teil (1965). German postcard, no. 9. Photo: Rialto / Constantin. 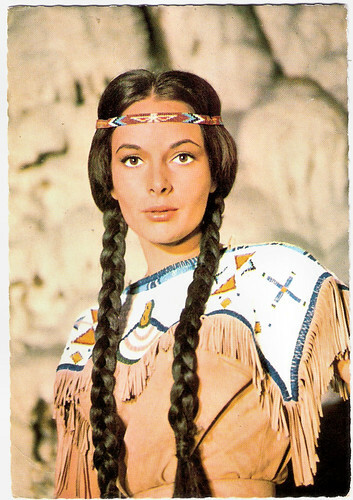 Publicity still for Winnetou - 3. Teil/Winnetou: The Last Shot (Harald Reinl, 1965). Source: Karl May Wiki (German), Wikipedia and IMDb.